A 21-year-old CTA passenger was robbed at gunpoint on a train in the Loop last Sunday afternoon and police managed to track the offender down outside of the Cadillac Palace Theatre moments later. 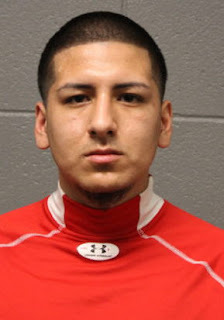 Around 4:40 p.m., the man was sitting on a train as it approached the Washington-Wells station when 20-year-old John Peralta came up to him and demanded money while displaying a handgun, police said. Peralta collected the victim's cash and ran off of the train when it stopped at the station, police said. Just a couple of minutes later, officers took him into custody on the corner of LaSalle and Randolph, across from City Hall. He is charged with two counts of robbery with a dangerous weapon. A judge ordered him held without bail. Police said the victim was not injured. Robberies in the Loop are up 132% since 2014, according to city data.